The idea for the Printmaking Master Classes project came from filmmaker and video producer, Juan Carlos Romera. 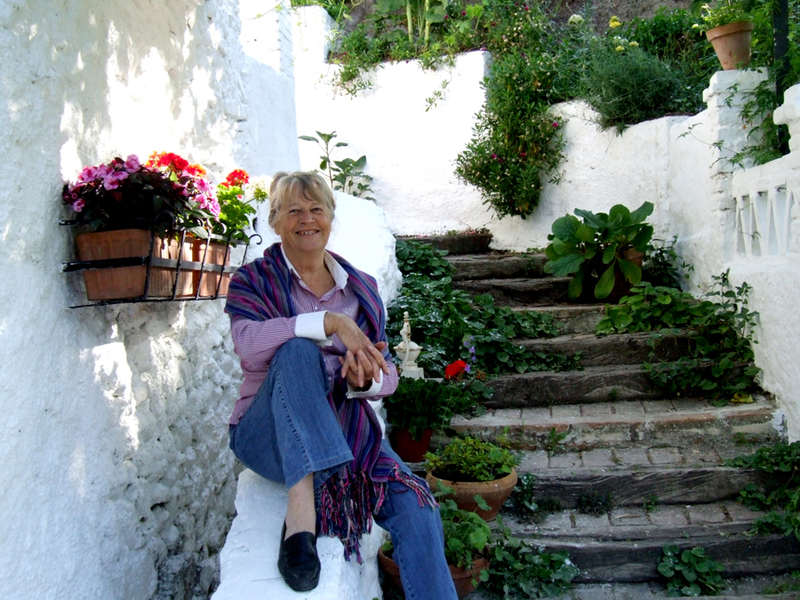 “We’ve been friends with Juan Carlos for many years,” says Maureen. “A few years ago I played the part of an English printmaker who falls in love with a Spanish fisherman in Bive, one of Juan Carlos’s short films. So, a few months ago he shows up with an ambitious new project to make printmaking instruction videos and offer them as downloads on Internet. One cup of coffee later we were partners. 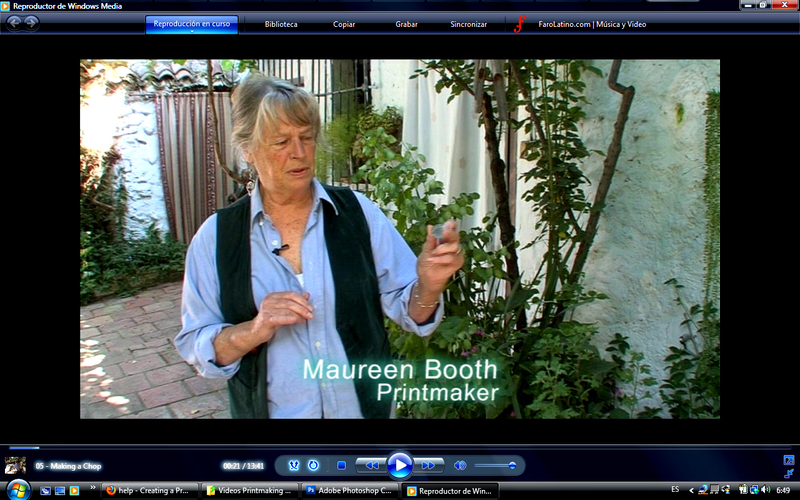 Maureen Booth, from Manchester, U.K., has been making fine-art prints in her Granada studio since the early 1980’s. In those 30 years she has passed through all the stages of a young artist’s progress from beginner to master printmaker and editor. “I was lucky in the beginning,” she says, “to be selected to study in the etching workshop of the Rodríguez-Acosta Foundation in Granada. I was actually doubly lucky as I worked under the guidance of the maestro José García Lomas. Pepe Lomas was the ideal mentor, a gentle soul and a true European master, formed in the some of the finest Italian and Catalan print studios. After the Rodríguez-Acosta Foundation workshop closed in 1981 Maureen had the opportunity to purchase one of the etching presses with all the trimmings—custom-built tables, flattening press, drying racks, rollers, inks and papers—and set up her own printmaking workshop in her painting studio at home. Printmaking soon took over. 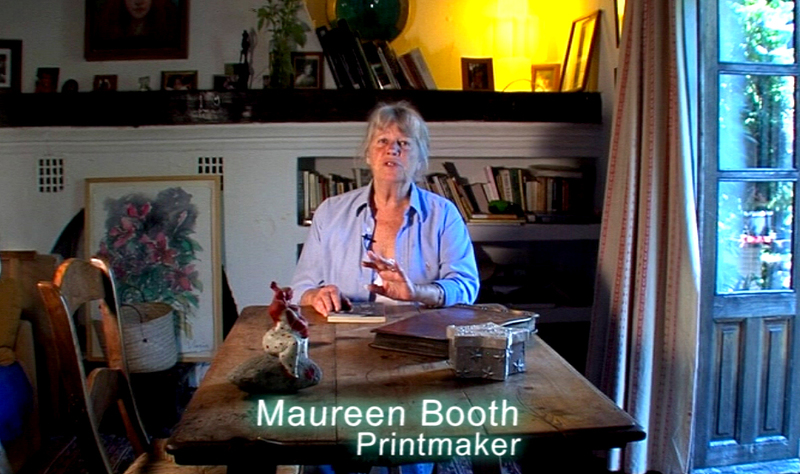 Maureen’s desire is that these new videos might be useful to both amateur and professional printmakers, and that they might make a small contribution towards extending printmaking culture among artists and art lovers around the world. So glad to hear that you and Mike are well and continuing your outreach to printmakers! I smile whenever I see an email update on your most recent student’s great experience with you in your printshop. I pulled a new print today (and was happy with it!) and as I did two others in the studio asked about the chop I made with you! But I can’t find out how to buy the chop making video you made!!! I want to share it with my colleagues. Please send me the necessary information to buy your tutorial! PS As you predicted, Mike and I are totally enjoying our grandchild with another on the way soon!